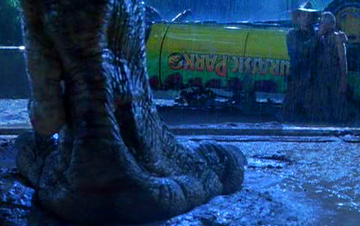 In 1993, Steven Spielberg set a milestone for technological achievement in film with Jurassic Park. Spielberg's adaptation of the Michael Crichton cautionary tale thrilled audiences with realistic-looking dinosaurs rampaging across the screen. You may know what you call a blind dinosaur's dog, but how well do you know Jurassic Park?